eating at the West Covina Huddle as a kid and that fireplace described in the webpage, but I don't have any memory of the meal. You have done a great job! I hope we see more about Huddle. 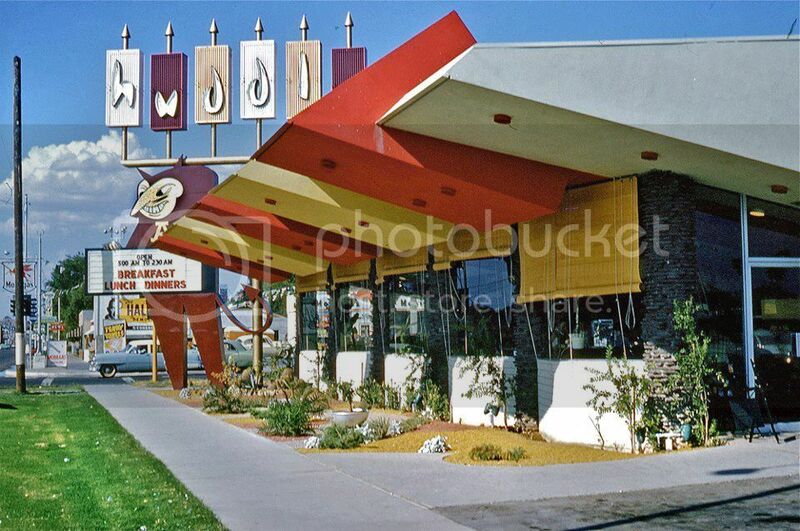 Does anyone have more pictures of the Palm Springs location? Present at the ribbon cutting of the Huddle Terminal in the Pacific Electric building on Sixth and Main, are from left: Supervisor John Anson Ford; restaurant owner, Paul Cummin; Huddle girl Nanette Pittman; and John Ferraro, president of the Police Commission. 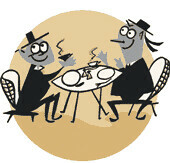 The restaurant, latest of the 17-member group, has a Buffet Room, Gay Nineties Bar and Coffee Shop and is open 24 hours. Photo dated: January 28, 1958.